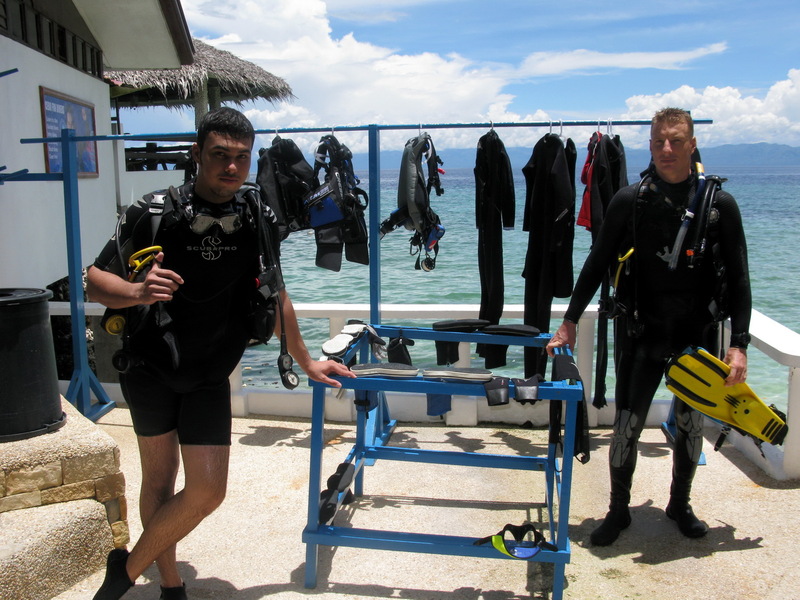 Cebu Fun Divers is mostly dedicated for certified divers enjoying fun dives here in Moalboal. 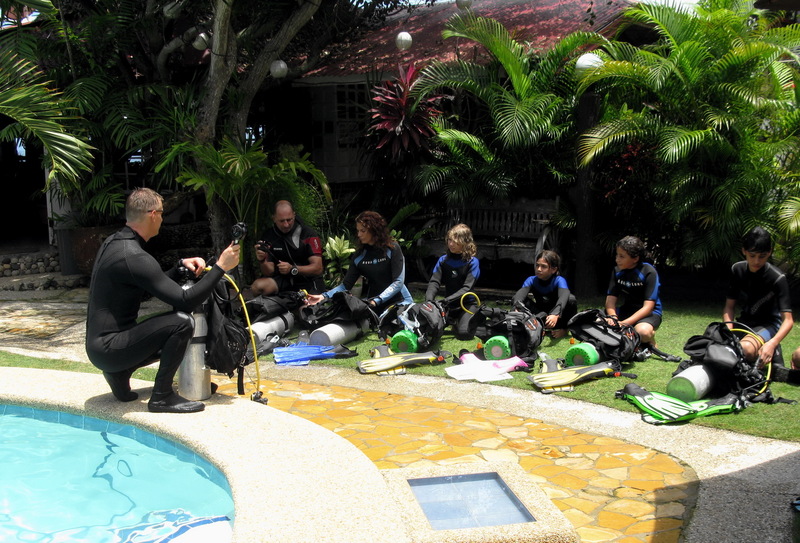 However, we offer also introductory dives directly at our shop here in the resort. 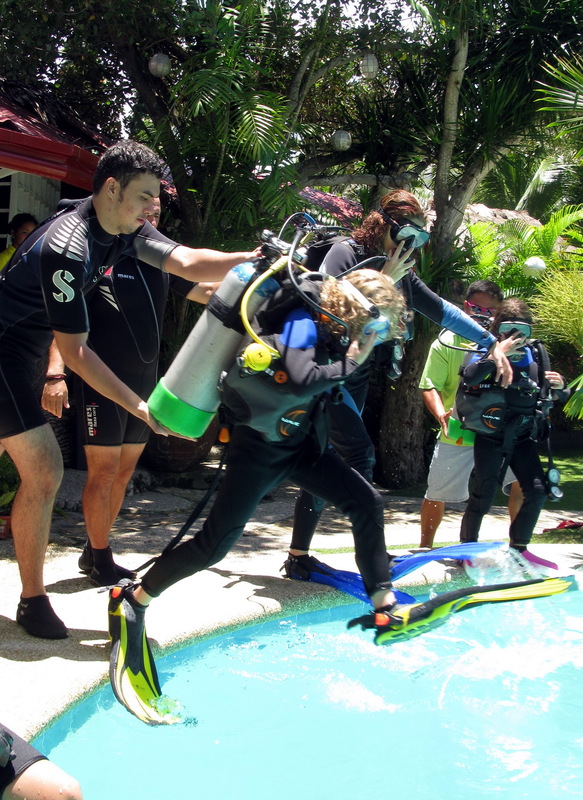 If you plan to get certified as an PADI Open Water Diver or any other advanced course, from PADI Advanced Open Water Diver to Rescue Diver to Divemaster or even PADI Dive Instructor, you can do this here in Moalboal, too. 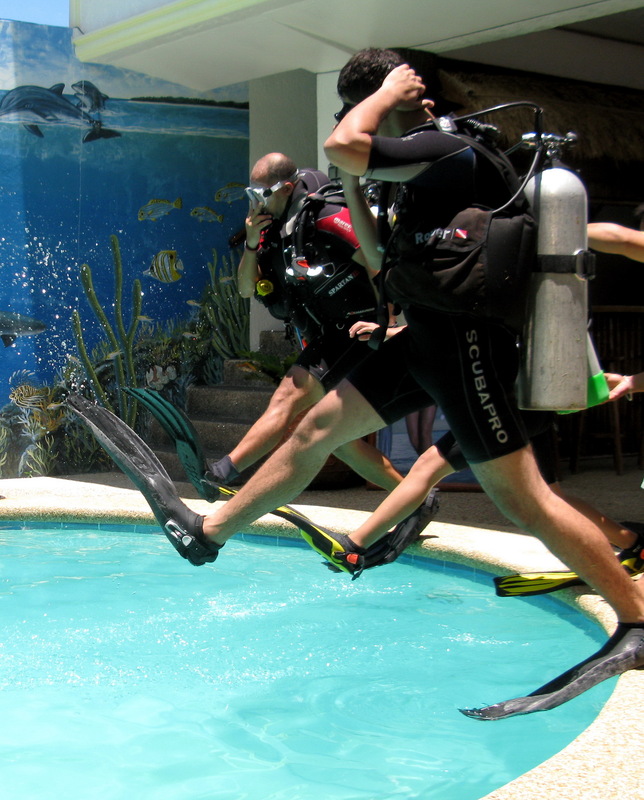 Cebu Fun Divers is part of Seven Seas Aquanauts Corp. which operates 2 dive centers (Cebu Fun Divers and Savedra Dive Center) and a Scuba Academy here at Panagsama Beach. 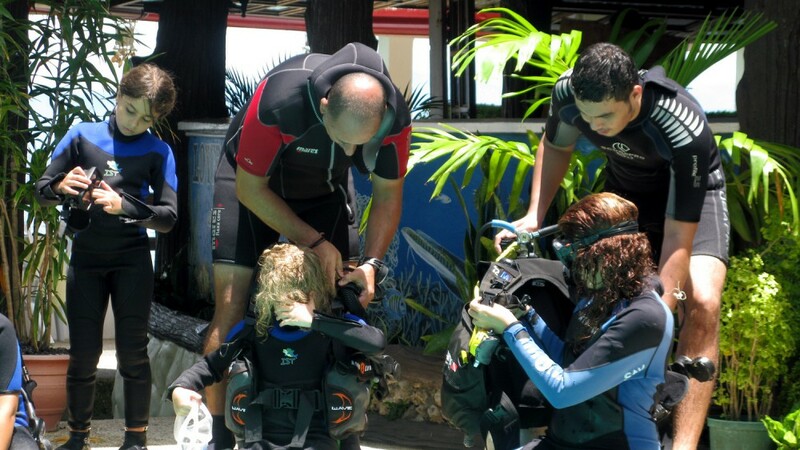 Dedicated class rooms and an experienced international multi-lingual instructor team teach you everything you need to know to get to the next level. 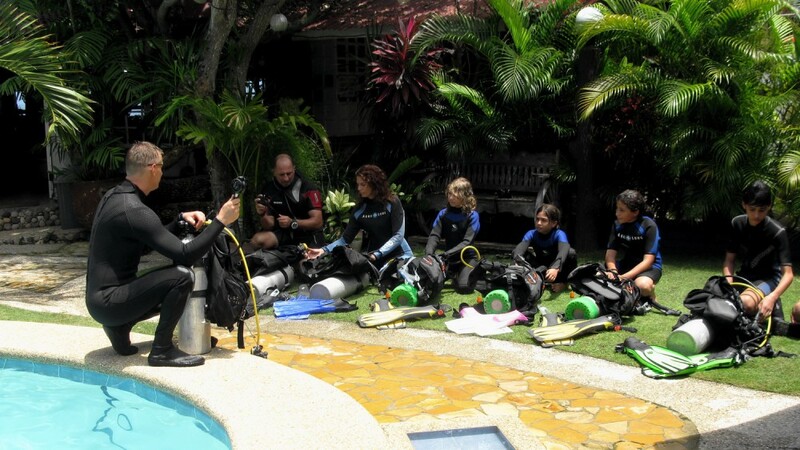 Even sidemount diving and technical diving courses are conducted regularly at the scuba academy. 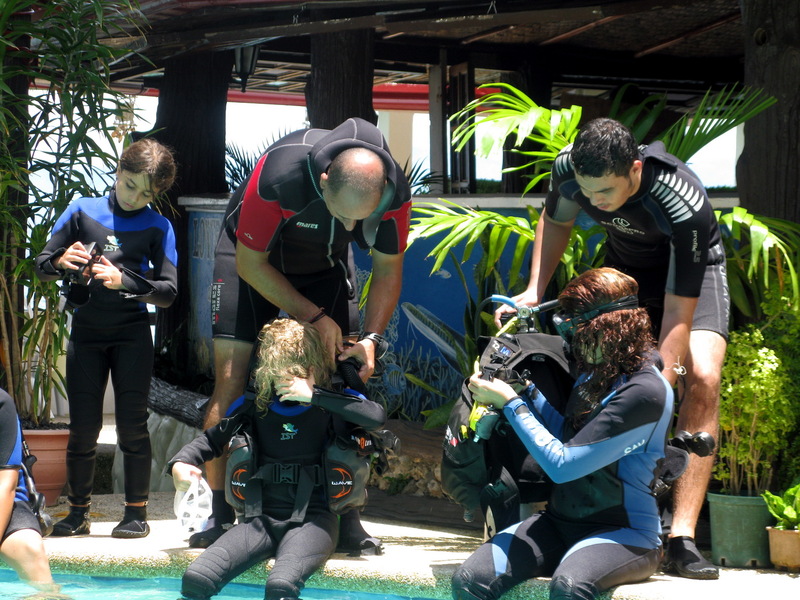 Please do not hesitate to contact us for if you are interested in any of these dive courses or a career in scuba diving. More detailed info on the individual courses follows soon. 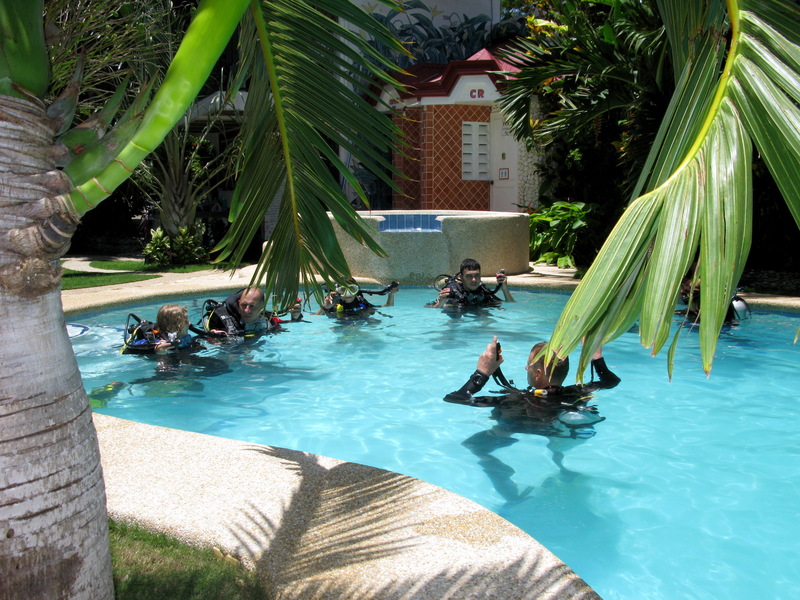 Click here for more information an PADI Courses at our Scuba Academy. 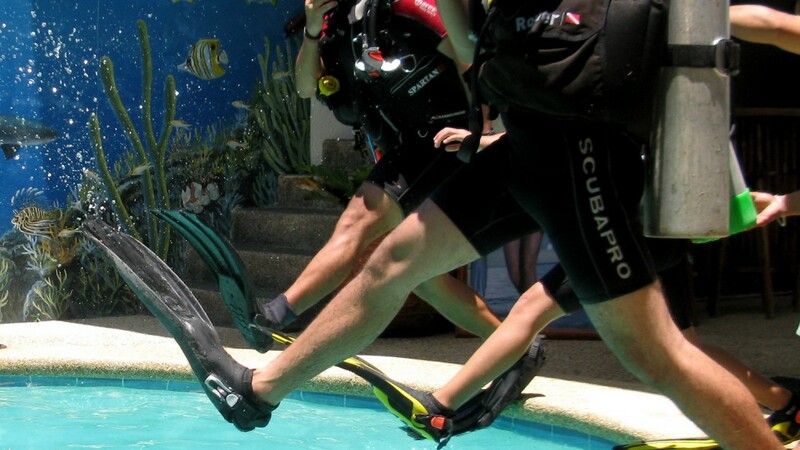 My friends and I are planning to go to Moalboal next week. 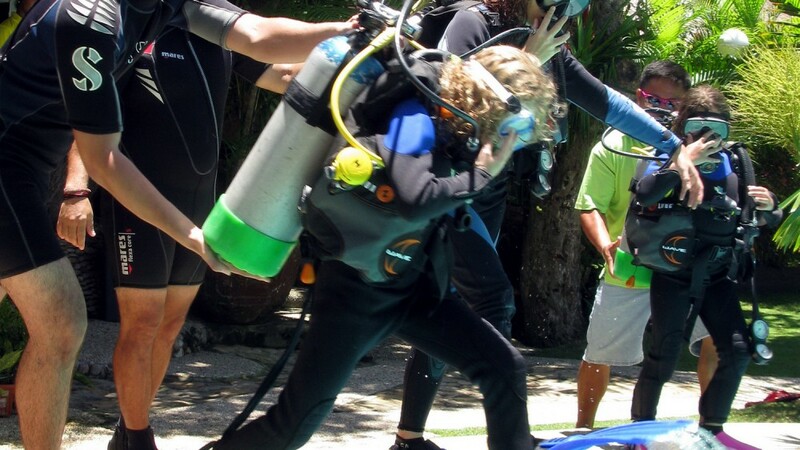 One of my friends is halfway through his open waters certification whereas I would have to take the entire course. 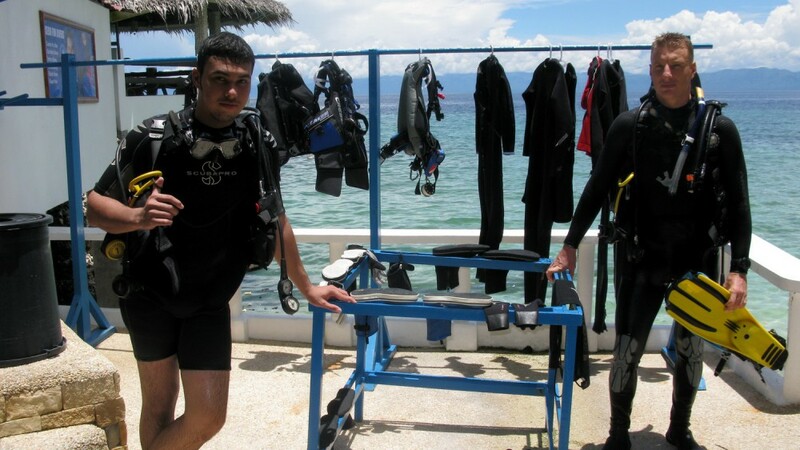 My two other friends already have Advanced and open waters respectively and would be diving on their own (requiring equipment and all that stuff). 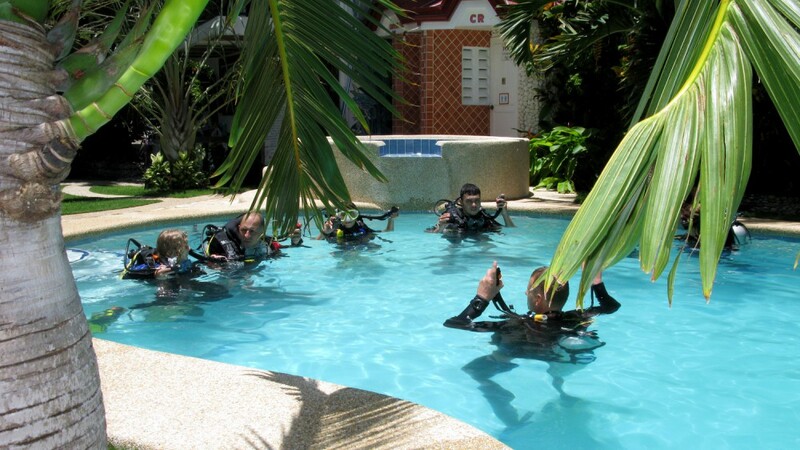 Can you please quote me on price and duration for the diving course? How much for a single dive for my friends? FYI, our date of arrival would be 09/06/2016. Any problems with availability?